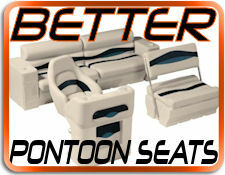 Wise Premier Pontoon Boat Seats On Sale Now! 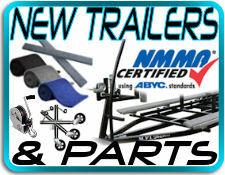 Largest Online Selection of Seats, Flooring and Accessories! 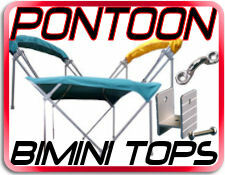 New Lippert Components Platinum Pontoon Seats! 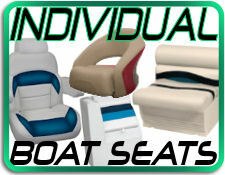 Try out our New Drop and Drag Digital Pontoon Seat Configurator! It's simple, accurate and easy to use! For all the fun times they offer, pontoon boats have relatively simple designs and nearly anyone can restore a used pontoon boat to pristine condition. 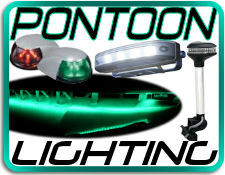 Most components of a pontoon boat can be replaced by amateur restorers with tools that are commonly found in household tool boxes. If you have some carpentry skills, a complete restoration might only require a weekend or two. Unless doing some special customizations, you’ll probably only need a socket set, electric drill, carpet scraper and a screwdriver or two. 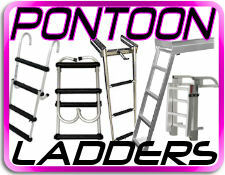 Be sure to visit our Pontoon Library for articles to learn more. 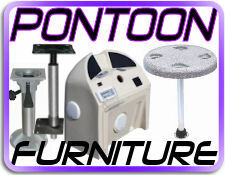 When restoring your pontoon boat we are proud to offer the highest quality pontoon boat seats, pontoon boat carpet, pontoon vinyl flooring, marine grade adhesive, marine plywood decking, pontoon deck hardware, pontoon bimini tops, pontoon LED lighting, pontoon ladders, marine audio equipment, pontoon cleaners and many other pontoon parts & accessories. 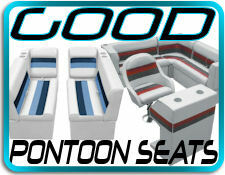 You can't go wrong when you choose RestorePontoon.com. 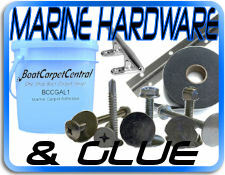 Visit our other websites BoatCarpetCentral.com and coming soon BoatPartsCentral.com. 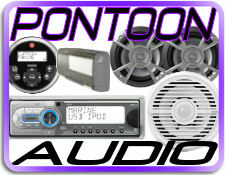 RestorePontoon.com - Your One Stop Pontoon Boat Shop! 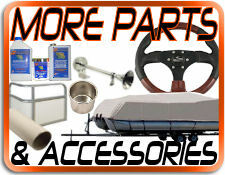 If you don't see the pontoon part or accessory you are looking for on our site, please feel free to call us @ 888-383-7615 and we will be happy to find it for you! 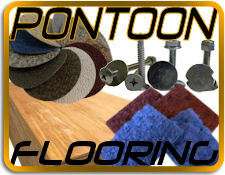 Need help, or have questions with your pontoon restoration project? Please feel free to give us a call and our knowledgeable staff will be happy to help you. Thank you and have a great boating season!